Cornelia Sylvester works with leaders and stakeholders, facilitating and stewarding teams to develop and employ equity-informed practices and policies. Cornelia serves on the Advisory Board of The Institute for Human and Social Development, helping to expand early childhood education supports and resources. She serves as chair of the Park Day School’s Social Justice Initiative. She has served as a trustee for Park Day School, a member of the Children’s Support League of the East Bay and a mentor and volunteer for Alameda County Court Appointed Special Advocates (CASA). Cornelia grew up in the California East Bay and attended local public schools. While pursuing her BA in Ethnic Studies at Mills College, she worked for Upward Bound program, as residential director, teacher and mentor. She holds a Master’s in Liberal Studies from St. Mary’s College of California and has worked in both the public and private sectors. Cornelia is a Certified Professional Coach through Leadership That Works. She is a mother of 3 and resides in Oakland. Hila Mehr is an innovation strategist at Deloitte. Prior to joining Deloitte, she worked in Market Development and Insights for IBM, focusing on market opportunities and design thinking; researched civic innovation for the President of Living Cities; and worked with the Office of Leadership and Organizational Development in the U.S. Department of Defense. She previously served as the Director of Operations for MFA Design for Social Innovation at the School of Visual Arts. She started practicing design for social change while working with social entrepreneurs and educators in Hyderabad, India as an IDEX Fellow in Social Enterprise. Hila was a Technology and Democracy Fellow with the Harvard Ash Center for Democratic Governance and Innovation. She holds an MPA in Management and Urban Policy from Columbia SIPA, and a BA with General Honors in Political Science from the University of Chicago, and is a StartingBloc Fellow in Social Innovation. Hila was born in Santa Cruz, CA, where she was raised in a family with a history of public service and involvement in social justice movements. Alvin is the Senior Director of Operations at Erie Neighborhood House (501c3), a social service agency founded in 1870 that promotes a just and inclusive society by strengthening low-income Latinx and other diverse families through skill-building, access to critical resources, advocacy and collaborative action. Previously he was the Director of Operations at Greater Good Studio, a social innovation & design consultancy (LLC) that works with social impact organizations at a local, national, and international level, using the lens of human centered design. 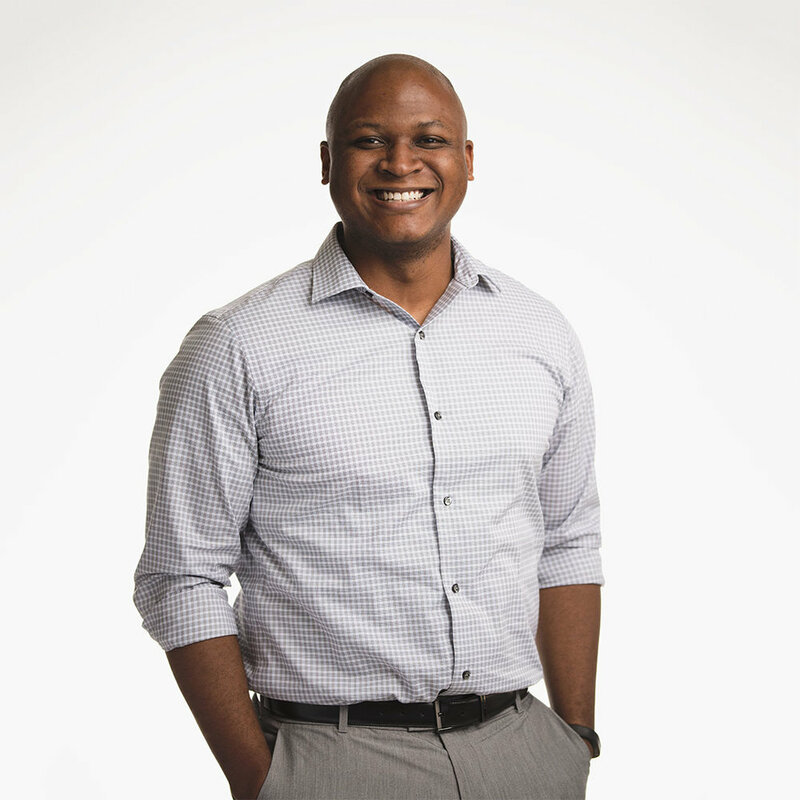 Alvin’s previous roles include: director of HR at Youth & Opportunity United, director of planning & administration at UMI/Urban Ministries Inc., and global management associate at Abbott Labs where he held roles in both Chicago and Shanghai, China. Outside of work, Alvin is an incoming 2019 Social Innovation Fellow with the StartingBloc Institute. Previously, he was the Board Co-Chair of Chicago Freedom School, a National Advisor for the Social Enterprise Alliance, and a 2016 Fellow in the IMPACT Leadership Program, which is jointly run by the Chicago Urban League and the University of Chicago-Booth School of Business. Lona Vincent is currently working in strategy and design thinking at Johnson & Johnson in New York City where she focuses on human-centered design and internal innovation capabilities. Lona believes in the power of design and storytelling to create change in communities and she supports New York Needs You, iMentor, and the Chelsea Alliance. She has a Masters in Public Health from Columbia University in New York and is a StartingBloc Fellow for Social Innovation. Kate Edgar helps organizations develop internal innovation capabilities. She has led design and brand strategy for government institutions, Fortune 500 clients, and international NGOs to implement creative solutions to systemic issues. Prior to returning to her native St. Louis, she successfully developed and launched two new business models in Kenya and Bangladesh with the Bill & Melinda Gates Foundation to address access to water and sanitation. Keisha Talbot Johnson is research communications and special projects manager at Johnson C. Smith University’s Smith Institute for Applied Research. Prior to joining the university, Talbot Johnson served in several roles in higher education at such universities as Florida International University and Winthrop University. Talbot Johnson, who earned her MBA from Queens University of Charlotte serves as managing editor and project manager on various publications featuring Smith Institute’s research including a research magazine and two books celebrating the rich history and a strengths-based focus on the under-resourced community surrounding JCSU, an HBCU: Let There Be Light: Exploring How Charlotte’s Historic West End is Shaping a New South, and Ten Men: Examining the Passion and Progress of Black Men on Charlotte’s Historic West Side. While at the University, Talbot Johnson co-founded an entrepreneurial leadership program encouraging students to think of themselves as more than consumers, but as creators, innovators, and potential entrepreneurs. Talbot Johnson has served as adjunct faculty, and has served on the board of the Entrepreneurial Leadership Circle at Queens University of Charlotte. Penina Acayo is a designer and educator whose work and research are centered around topics that utilize a human-centered approach to solving social problems. Currently, Acayo is an Assistant Professor in Visual Communications at Washington University in St. Louis. In 2013, she collaborated on an award-winning project that used simplified iconography to communicate ailments associated with the spread, prevention, and treatment of malaria in Kibera, Kenya. This work has received multiple awards, with Metropolis Magazine naming it runner-up in its Next Generation Design Competition; it also earned the Student Notable Honoree status after placing in the top six of all national entries in the Core77 2013 Design Awards. Acayo earned an MFA in Visual Communication Design from Kent State University and a BA in Art from Goshen College. As a component of her MFA thesis, she developed a secondary-level design curriculum that was inspired by the paucity of design education in Uganda, despite the growth and increasing number of job opportunities within the country's design sector. This subsequently inspired the creation of DesignEd Uganda workshops that Acayo organizes and facilitates over the summer to equip young people with skills in design and creative problem-solving. Antionette D. Carroll is the Founder and CEO of Creative Reaction Lab, a nonprofit educating and deploying youth leadership to challenge racial inequities impacting Black and Latinx populations. Within this capacity, Antionette has pioneered a new, award-winning form of creative problem solving called Equity-Centered Community Design (named a Fast Company World Changing Idea Finalist in General Excellence and Urban Design). Through this capacity, Antionette has received several recognitions and awards including being named a 2018 Echoing Green Global Fellow, TED Fellow, and Camelback Ventures Fellow. Additionally, in 2014, Antionette was named the Founding Chair of the Diversity and Inclusion Task Force of AIGA: The Professional Association of Design. Currently, she’s an AIGA National Board Director and Chair Emerita of the Task Force working on long-term strategic initiatives such as the Design Census Program with Google and national Design for Inclusivity Summit with Microsoft. She’s the co-founder of the Design + Diversity Conference and Fellowship. Antionette also is an international speaker and facilitator, previously speaking at TED, Capital One, Harvard, Stanford University, Microsoft, NASA, TEDxHerndon and TEDxGatewayArch, AIGA National Conference, The Ohio State University, and more. Creative Reaction Lab is currently recruiting individuals to join its national board of directors (and other volunteer board roles). If you’re interested in joining the movement for racial and health equity, consider this amazing role! Submit your volunteer board interest application by February 28, 2019 at 11:59 p.m. CST.